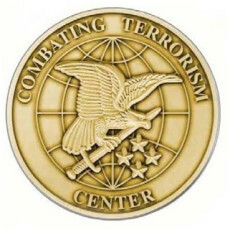 West Point, the U.S. Military Academy, is home to the Combating Terrorism Center (CTC) whose origins “are inextricably linked to the tragic events of 9/11 and West Point’s unwavering commitment to the future security and safety of our nation.” The Center has produced material on radical Islam and Al Qaeda but a recent report represents a radical departure. Author Arie Perliger has no background in the U.S. military but somehow became Director of Terrorism Studies at the CTC. He serves as assistant professor in West Point’s department of social sciences but his PhD is in political science. Perliger never explains why groups that promote National Socialism should be described as “far-right.” And readers will not learn that longtime Senator Robert Byrd, West Virginia Democrat once headed his local Klan chapter and objected to service in WWII because that would bring him into contact with “race mongrels.” But Perliger’s purpose is not historical understanding. That would be a fair profile of the American founders and many activists on the left and right. As journalist Mark Tapson noted, “that pretty much describes every conservative I know.” Perliger thus links those who value freedom and limited government with violent racists. The sub-text is clear. 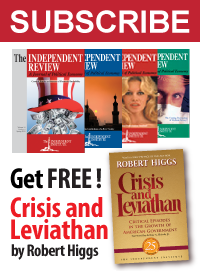 Those Americans less than worshipful about ever-expanding intrusive government, and who value their constitutional rights, are dangerous subversives. This recalls Woody Allen’s 1971 film Bananas, in which Miss America testifies against Fielding Mellish, a product tester who supported a South American revolution. In 2013, farce repeats itself as history.